Most companies have requirements to document its incident response processes, but they lack the knowledge and experience to undertake such documentation efforts. That means businesses are faced to either outsource the work to expensive consultants or they ignore the requirement and hope they do not get in trouble for being non-compliant with a compliance requirement. In either situation, it is not a good place to be. 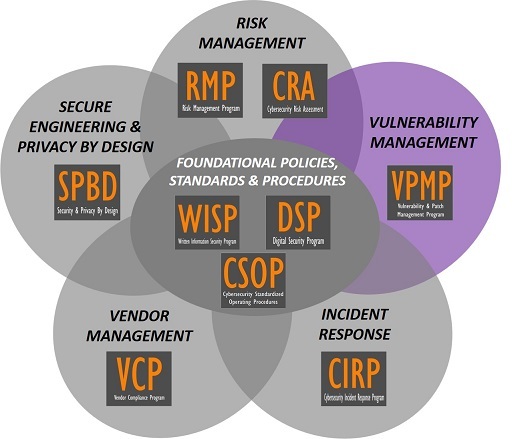 The good news is that ComplianceForge developed a viable incident response program that is based on NIST 800-61 guidance, which is the "gold standard" for incident response frameworks. This document is capable of scaling for any sized company. Can You Honestly Answer How Incident Response Is Implemented At Your Organization? When you "peel back the onion" and prepare for an audit, there is a need to address "the how" for certain topics, such as incident response. While policies and standards are designed to describe WHY something is required and WHAT needs to be done, many companies fail to create documentation to address HOW the policies and standards are actually implemented. We did the heavy lifting and created several program-level documents to address this need and the Cybersecurity Incident Response Program (CIRP) is one of those products. When you look at DFARS and EU GDPR, those regulations both have requirements to rapidly respond to and report incidents within 72 hours of discovery. Without a well-designed and efficient incident response program, your organization may very well miss reporting deadlines that can lead to fines, lost contracts and other legal issues.